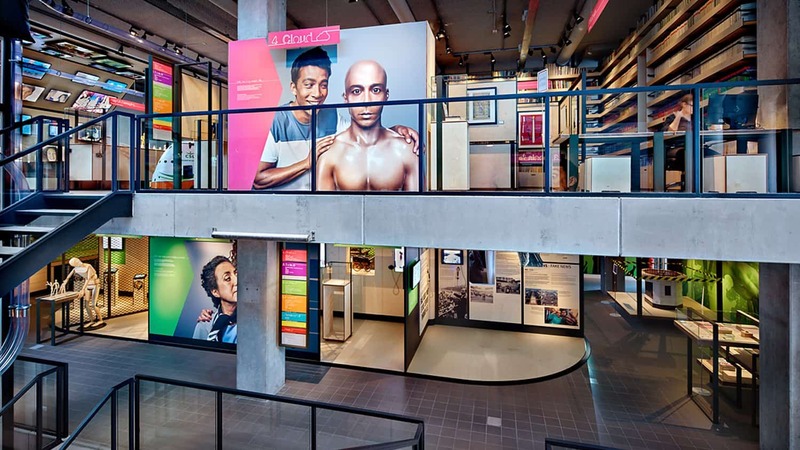 The COMM Museum, Netherlands has made great use of a large amount of our Auto Play Singlecup headphones. 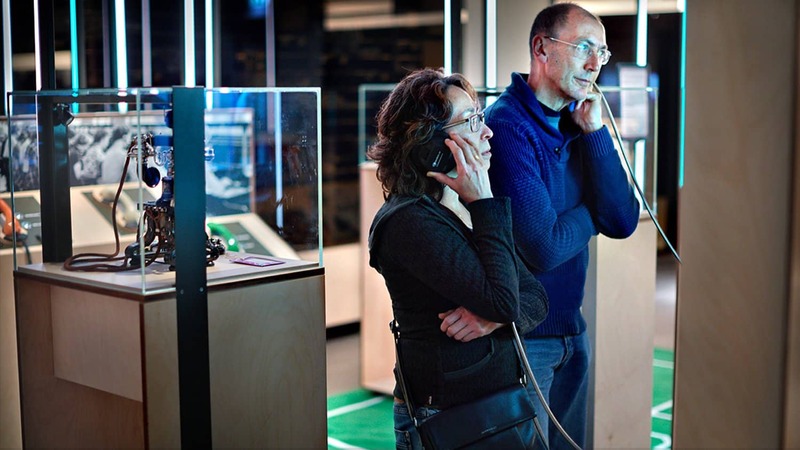 With the aim of exploring telecommunications of the past, present and future, the COMM Museum (as you can imagine) relies heavily on great deal of audio visual interpretation. Spanning four floors, the first being home to an event space, news room, lounge, shop, meeting rooms and a venue; the other three present visitors with various intriguing exhibits. The COMM Museum is Rapenburg Plaza’s latest state of the art project. Each floor provides a new learning experience; aiming to target the “communication realities of today”. Throughout the museum, guests are encouraged to participate in different exhibits in order to ignite new conversations, ideas and opinions over pertinent topics like; robots, the dark web and ‘fake news’. The majority of audio consists of spoken interviews and with a lot of audio visual interpretation to contend with, a big problem to solve was audio interference between exhibits. Consequently the Auto Play Singlecup Headphone was selected as the solution. 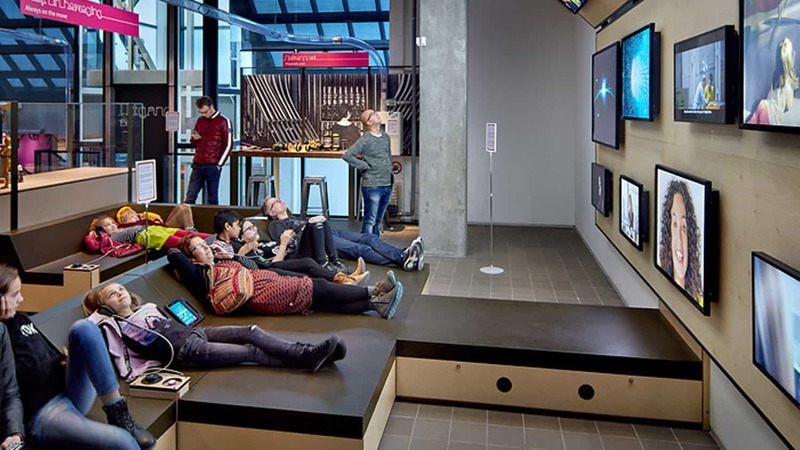 The Auto Play feature allowed extremely simple use by visitors, who merely have to lift each headphone from their included magnetic hanger to activate content. Using the same model of headphone throughout the museum ensured an easier visitor journey, with audio exhibits quickly identified and triggered.